If you love peanuts but have always thrown away the shells, you've been wasting a valuable resource. Peanut shells are used in the manufacture of soap, cosmetics, wallboard, plastics and linoleum, among other things. Scientist and educator George Washington Carver extolled the value of peanuts and their shells at the beginning of the 20th century. 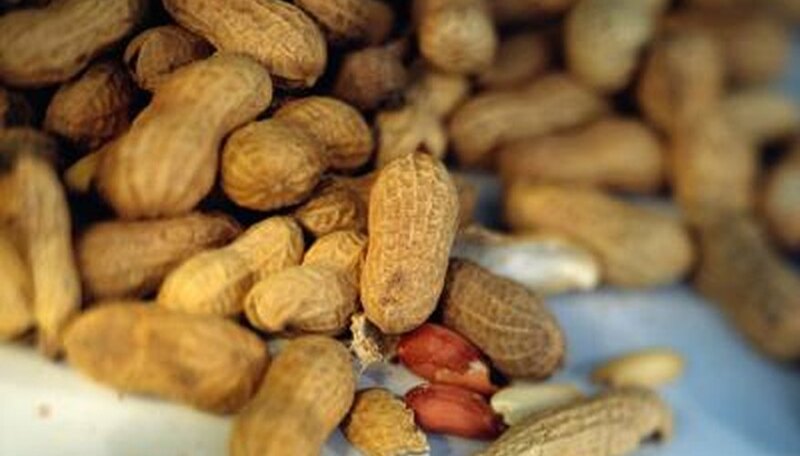 In the 21st century, scientists at Clark Atlanta University studied ways to use peanut shells to make hydrogen for fuel. Carver saw that peanut shells could replenish the soil in the south, which had been exhausted by cotton crops. They can do the same for your garden and lawn. If you use them as mulch, you don't even need to grind them up. As they decompose they form nitrogen, a critical nutrient for gardening soil. Some kitty litter manufacturers use peanut shells in their products. Soak them in water, add biodegradable dish soap, let them dry and sprinkle them with baking soda and you have kitty litter that's much better for the environment than the chemically treated variety. If nothing else, a boxful of peanut shells will hold you over if you run out your regular brand and can't make it to the pet store right away. Peanut shells are extremely flammable; they are used to make some manufactured fireplace logs. If you have a wood-burning stove or a fireplace, sprinkle the shells over your wood to get a good blaze going quickly. You'll need a lot of them, of course, but it makes sense. Instead of buying Styrofoam packing peanuts, why not use the shells of the real things? You'll also be helping the environment, as Styrofoam and plastic bubble wrap are not eco-friendly. While the USDA does not recognize peanut shells as food, the National Peanut Board's website assures readers that the shells are safe to eat--if not as tasty as the nuggets they contain. The chemical compositions vary by the type of peanut and how it's shelled, but for the most part they are a good source of fiber and don't contain anything harmful. What Are the Benefits of Flaxseed Husks? What Are the Benefits of Peat Moss? Can I Use Crab Shells in My Garden? Are Acorns Bad for My Grass?